Tradeshow demo rooms tend to be pretty predictable. You walk into a boxy, less-than-ideal acoustical space, pick through some familiar CDs, then sit back and take in 117 dB playbacks with throbbing bass and piercing highs. The whole point is to provide a positive audio impression during a 10-minute presentation, but more often than not, I’ve walked out on such aural assaults before the first 90 seconds have elapsed. 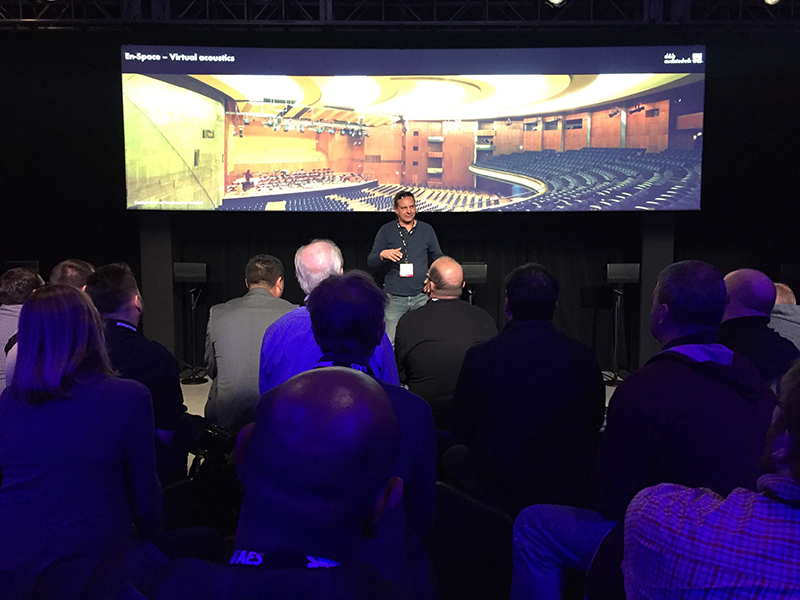 At the recent AES show in New York, d&b audiotechnik took a different take on the demo room experience, to show the capabilities of d&b Soundscape, which is intended to bridge the gap between the physics of loudspeaker system design and the creation of artistic material. Slated for early-2018 release, Soundscape operates on the user-friendly DS100 platform, empowering sound designers and engineers with multi-dimensional source placement, acoustic room simulation and signal matrix processor capability. What d&b Soundscape does is encapsulated by its name. The term “soundscape” is defined by the International Standards Organization as the “acoustic environment as perceived or experienced and/or understood by a person or people, in context.” A soundscape is, therefore, the total of the auditory stimuli that surrounds us at any given time and place. For d&b, Soundscape is about enabling this creation via technology. The d&b Soundscape will consist of three component parts: a signal processing engine and two optional software modules. The signal engine offers a familiar format of audio matrix and processing that most sound designers know and use every day. The software provides an object positioning tool, which allows individual placement and movement of up to 64 “sound objects” (loudspeakers), as well as the means to add room emulation signatures to any given space. “The d&b Soundscape is a two-layered technology,” explains Zuleeg. “The basic layer is the configuration, the setup, which you do as normal in ArrayCalc. Then, there’s the creative layer, where you position the sources, the sound of the instruments, the pan, the reverb. And, as with any d&b solution, the R1 Remote control software gives you all the control and oversight you need. This is a crucial point, as the creative potential of d&b Soundscape is all-encompassing. The ability to sonically compose a sound-based spectrum of human sentiment and experience makes it as relevant to the audience as the sound designer, architect and engineer, the artist and performer. The scheduled official launch is in early 2018, yet Soundcsape has passed an extended beta testing period. 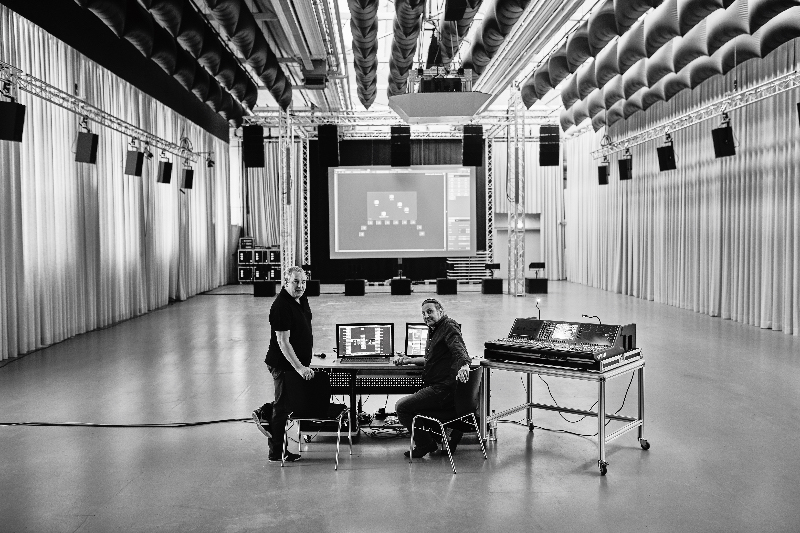 Leading sound designers, composers and venues worldwide have helped shape the d&b Soundscape into its soon-to-be available form. Among these are Glastonbury’s 2017 Acoustic Stage, Opera Australia and a four-year collaboration with German electronic music pioneers, Kraftwerk. For more information, visit www.dbaudio.com.